This free-to-play mobile game gets kids off the couch on their quest to become a Pokemon Master. Pokemon Go took the world by storm when it launched on mobile devices in summer 2016. The mobile game based on the popular Pokemon franchise that debuted in 1995 lets players collect virtual Pokemon by exploring the real world around them. 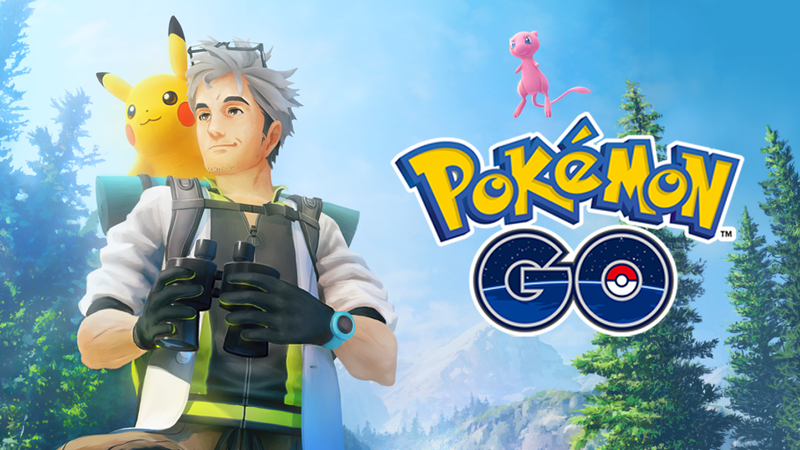 Whether you’re new to Pokemon Go, or are one of the many returning players looking to experience the game’s new social features (friends, gifts, and Pokemon trading), we’re here with a guide to help you understand the major features that make this game tick. What do players do in Pokemon Go? The basic gameplay in Pokemon Go is pretty simple. The game presents players with a map based on their current real-world location. As they move around in the real world (for instance, by walking, riding a bike, or even riding in a car), their position on the in-game map updates in real time. Pokemon will appear on the map at random and players can tap on them to try and capture them. Once players tap on a Pokemon, they’re taken to a special capture screen. A colorful circle begins moving across the Pokemon in the center of the screen, with the color indicating how hard the Pokemon will be to capture (closer to green is easy, closer to red is hard). Players can swipe on the screen to toss a Poke Ball at the creature. If their toss was accurate, the Pokemon will enter the ball, but players will need to wait a few seconds to see if the Pokemon was successfully captured. If not, the Pokemon will bounce out of the ball and players can try again. Users can also toss a Berry at a Pokemon before tossing a ball to impact the encounter in some way (check out the “Berries” section below). Players can find Pokemon wherever they have a mobile internet connection, but they’re encouraged to visit places connected to in-game PokeStops and Gyms in order to collect free in-game rewards and have the chance to capture more Pokemon (Pokemon frequently appear in groups around these locations). A PokeStop is an in-game location (represented by a blue floating cube) that’s digitally attached to a building, statue, or other structure in the real-world. PokeStops can be attached to everything from churches and historical markers to restaurants and murals. 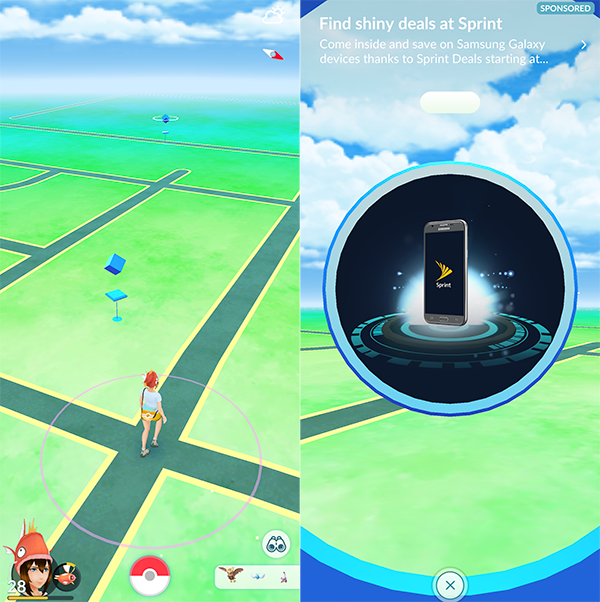 The game even has sponsored PokeStops, with companies like Starbucks and Sprint partnering with the game’s developer, Niantic, to turn their stores into these in-game locations. When players physically travel to a PokeStop, they can spin a photo disc to receive free in-game goodies, like Poke Balls, Berries, and other items. Keep in mind that some stores, churches, and other businesses may not like the fact that the game has assigned their building to be a PokeStop, so players should always be on the lookout for any signs encouraging them to stay away. At the same time, many businesses love being a PokeStop, as it encourages players to visit them more often. They may even offer sales or discounts to Pokemon Go players. Pokemon Gyms are similar to PokeStops in that they’re attached to real-world locations that players need to physically travel to in order to interact with them. Just like PokeStops, they let players spin discs to receive in-game goodies. They also let users take their Pokemon into battle against creatures owned by other players, as well as participate in limited-time encounters called Raids (more on those in a bit). When players first create a Pokemon Go account, they’re asked to join one of three in-game teams -- Team Instinct (yellow), Team Mystic (blue), or Team Valor (red). Each gym has one of the three colors, determined by the team that currently controls it. If players on the other two teams wish to take over the gym for their own team, they can battle the Pokemon within it for a chance to do so. Battling itself is an easy process. When players attack a gym, they enter a battle screen that lets them rapidly tap and swipe on the screen to attack and dodge, respectively. This may sound violent, but the action is animated, and doesn’t include any realistic violence or gore. When a Pokemon is defeated, it simply faints and goes back into its Poke Ball - there’s no death here. Once a Gym has been conquered, players on the winning team can drop off their Pokemon to protect the Gym, and the cycle continues. A Gym can hold a maximum of six defending Pokemon at any one time, but each player is only allowed to drop off one of their Pokemon at a single Gym. The great thing is that players don’t need to stay near a Gym to protect it; the Pokemon will do all of the work, and automatically return to their owners once they’ve been defeated. As a bonus, players have a chance to receive free PokeCoins, the game’s premium currency, from these Pokemon when they return. The longer a player’s Pokemon defends a gym, the more PokeCoins it can bring back, up to a maximum of 50 (that’s worth 50 cents). In addition to battling Pokemon owned by other players, Gyms have the chance to spawn limited-time Raids, which allow players from all three teams to work together to defeat stronger, potentially even Legendary Pokemon. Legendary Pokemon like Articuno and Registeel aren’t found in the wild; they can only be collected through Raids or other special in-game events. How does evolution work in Pokemon Go? Once players collect the required number of Pokemon Candy, they can evolve a Pokemon into its next form (where available). Some Pokemon evolutions aren’t in the game yet, but more Pokemon will be added to the game in the future. Some evolutions require special evolutionary items (like Metal Coats and King’s Rocks), along with Pokemon Candy, to achieve. These are rare items that can be earned from PokeStops, Gyms, or Gifts. As Eurogamer pointed out, players have a greater chance of receiving one of these items when they reach a 7-day PokeStop streak (spin a photo disc at a PokeStop at least once per day for seven days in a row). Is there anything else can you do in Pokemon Go? 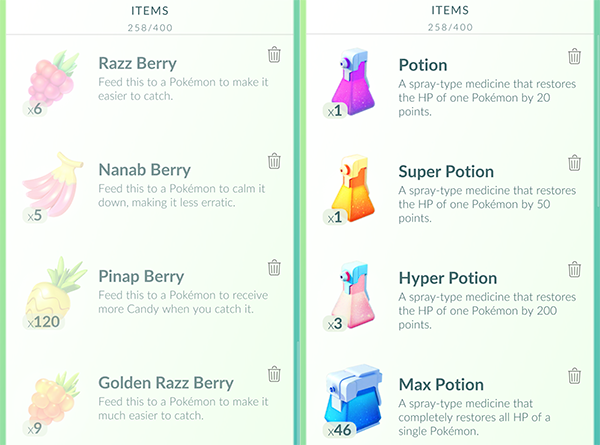 In addition to capturing Pokemon and battling for fun, players can complete two kinds of research tasks to help a character named Professor Willow with his Pokemon research. Players can activate “Field Research” quests by spinning the photo disc at PokeStops, and they’ll receive in-game prizes for completing them. “Special Research” quests, meanwhile, are part of the game’s story. If players complete every quest in a single storyline, they’ll have the chance to capture a rare, mythical Pokemon. So far, only Mew has been released for all players, while Celebi was available for players who attended Pokemon Go Fest in Chicago in July 2018. It’s likely Celebi will be released for everyone to earn in the future. How can players spend money in this game? Pokemon Go’s in-game store contains all sorts of premium items, from Poke Balls and Egg Incubators to Potions and Revives. Players can also purchase storage upgrades for their account, so they can hold more Pokemon or collectible items at one time. Finally, players can spend PokeCoins on premium clothing and accessory items for their in-game avatar. Pokemon Go contains all sorts of collectible items players need to keep track of. Here’s a breakdown of the main ones. Poke Balls - The bread and butter of Pokemon Go. Without them, you can’t capture Pokemon. Balls come in three main types -- Normal, Great, and Ultra -- which players can collect from PokeStops, Gyms, and Gifts (Normal Poke Balls can also be purchased with PokeCoins). The better the ball, the better the chance of capturing a Pokemon. Raid Balls - A special type of Poke Ball earned when a Raid is completed successfully. 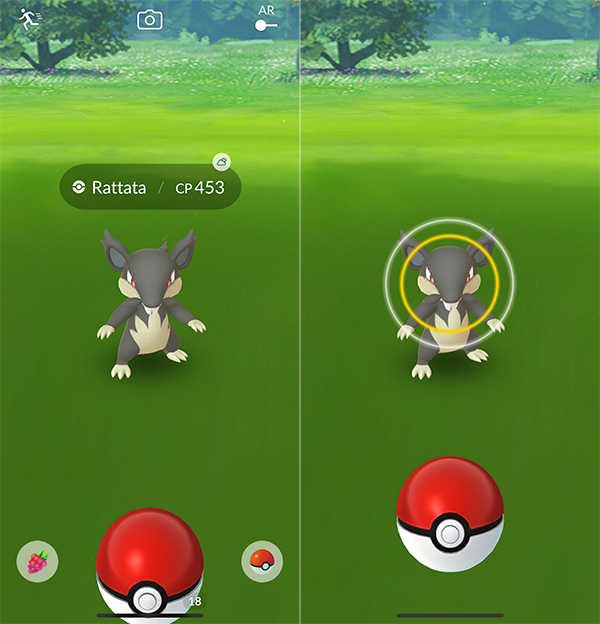 Players can use Raid Balls immediately for a chance to capture the Raid’s Pokemon. Revive - Used to revive a Pokemon that has fallen in battle. Can be collected from PokeStops, Gyms, and Gifts. Pokemon Candy - Can be used to evolve and power-up Pokemon. By default, players receive three Pokemon Candy each time they capture a Pokemon. Pokemon Candy can also be earned from Buddy Pokemon, hatching Eggs, trading Pokemon, and transferring unwanted Pokemon to Professor Willow. Each Pokemon has its own kind of Candy. Note: Each evolution chain (for instance, Charmander > Charmeleon > Charizard) uses the same Pokemon Candy (in this example, Charmander Candy). Rare Candy - A special kind of Candy earned after successfully completing Raid battles. When used on a Pokemon, a Rare Candy becomes the Pokemon’s own kind of Pokemon Candy. This is useful for rare Pokemon. Stardust - The game’s free currency, which can be spent alongside Pokemon Candy to power-up Pokemon to make them stronger in battle. 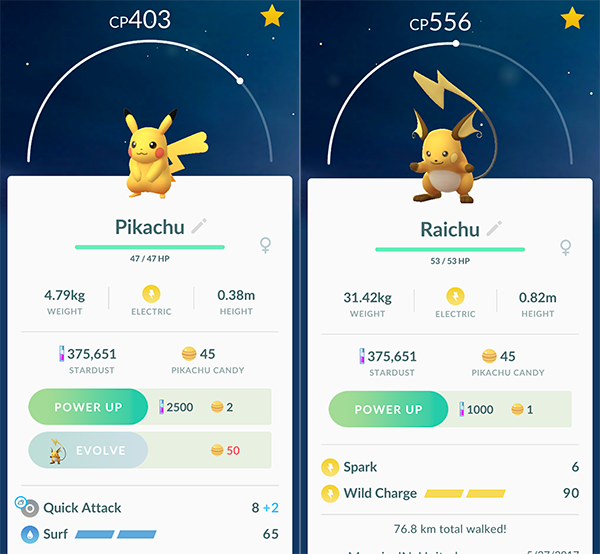 Players earn Stardust each time they capture a Pokemon. Gifts may also contain Stardust. Lure Module - Can be attached to a PokeStop to lure wild Pokemon to the location for 30 minutes. All nearby players can capture the lured Pokemon. Incense - Attracts Pokemon to a player’s location for 30 minutes. Other players do not benefit from this item. Lucky Egg - Allows a player to earn double the regular amount of experience points for all in-game actions for 30 minutes. Eggs - Can be collected from PokeStops, Gyms, and Gifts. Players can only hold nine Eggs at once. Eggs can be placed in an Egg Incubator to incubate over time. Each egg requires players to watch a required distance before it will hatch. Eggs come in four varieties: 2km, 5km, 7km, and 10km. The 7km eggs can only be earned from Gifts, and, as of this writing, contain special Alolan (tropical) versions of Pokemon originally seen in the Pokemon Sun and Moon video games. Gifts - Can be collected from PokeStops and Gyms. Players can send Gifts to their in-game friends. This is a lot to take in. Is Pokemon Go really good for kids? Absolutely. While some of the game’s finer details and strategy (like choosing the right Pokemon to take on specific opponents in Raid battles) might go over the heads of the youngest players, kids can have a ton of fun tracking down and capturing the game’s wide variety of Pokemon. Just make sure your kids are properly supervised when they head outside to play.